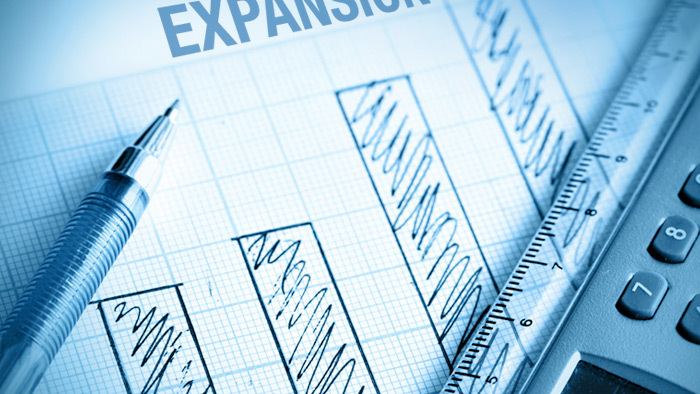 Expansion is typically the primary goal of small business owners, but knowing the correct steps and the order of those steps is crucial to being successful long-term. The trajectory that I chose for D3 Multisport over 14 years ago was to create a multi-coach platform, and the following information highlights the areas where I wish someone had guided me, and for which I have garnered a number of bumps and bruises which would be great for you to avoid in your journey to expand your company. There are many aspects to consider before you start hiring other coaches. Your first step is to take time and create as detailed a plan as possible. Here are seven ideas you should think about before expanding your business. Many owners will want to expand their product lines and services quickly, but my advice is to be very good at what you’re doing currently and perfect it (but don’t dwell on perfection). Make sure your best-practices and processes are dialed in for smooth operations before adding another service. If you are not organized now offering one service, it will be difficult to clean things up if you add more. Before you consider hiring support staff or coaches, make sure you have operational systems in place. Time Trade – No more emailing back and forth about when I can have a phone call with someone. It’s all online! Creating multiple revenue streams is important to growing any business as it creates a diversified income stream (much like an investment portfolio). Those diversities can come from services or products you may sell, or splitting coaching fees. It’s important to identify a target revenue goal you want to achieve from each stream. Having target revenue goals is similar to guiding an athlete to their race day goals. Identifying the goal allows you to build a plan toward achieving it and having a goal helps you evaluate your progress and whether or not it’s realistic. Having four income streams is great, but if they bring in a nominal amount of money for a substantial amount of effort, it’s best to narrow down your streams to the ones that are most profitable. As you expand, it may be necessary to add staff. One important consideration is to ask yourself if you want to manage people. Whether they are contractors or employees, when you hire support staff or other coaches, you need to be prepared to set performance expectations, conduct reviews and other necessary human resource functions to ensure you are setting the stage for your company’s success. Hiring or contracting with the right individual(s) is important. In a multi-coach platform, a key question to ask yourself is: “Do you have the right group of coaches to help take your business to the next level?” Looking for coaches who have the same work ethic as you, who aren’t afraid to share new ideas, are responsive to athletes, are amenable to your directions and able to meet your expectations are all important factors in determining who you bring on board. You also have to be flexible and compromise from time to time. Your motivation for your business will be very different than your coaches – no doubt about it. So while you can hold them accountable, you also have to understand what’s driving them to be a coach. As an entrepreneur you want to work on the business, not in the business. I know this is hard if you are a one-person outfit, but if you have the intention of growing your business, you have to give serious thought to adding contractors and other professionals to help you. You are not an expert in all things (accounting, taxes, marketing, database management), and you can only take your company so far without that added expertise. This can be challenging for some, but you may be stuck spinning your wheels without outside help. Brainstorm a list of 50 ways to grow your business. Once you have your list, the key is to then execute the items on it. No matter how many ideas you end up with, (whether it’s 22 or 50) execute the number of ideas you have on your list. It will keep you busy for a long time and keep your business growing and evolving. One simple idea can lead to many more! One last point on growing your business- leave time for the one thing that you love to do, no matter what the economic outcome. Maybe it’s teaching a swim lesson weekly, giving bike fits, or just helping a new athlete each season, stick with your passion and remember why you love your business and your sport! One of the lessons I’ve learned over the years is knowing if a coach is a good fit. Onboarding coaches whom I have a relationship with, and who have experienced D3 personally, have repeatedly proven to be markers of a good fit. That is a basic starting point for me in how I consider bringing a coach onboard at D3. One of the easiest ways to recognize if a coach is going to fit is in how quickly they respond to my emails and phone calls. I don’t consider it a test, it’s simply customer service, and knowing how quickly a coach gets back to me will tell me all I need to know when wondering how fast they’ll get back to an athlete. Another criterion is that our coaches have to be certified by at least USAT (and hopefully other organizations). Credentials and customer service are important foundations for your business. They demonstrate initiative and commitment to the sport and to the athletes … your customers! Having a solid contract in place between you and your coaches is critical. When coaches know what they are responsible for and in return what is provided to them, things are clear and everyone understands their role. Like retaining athletes, you’ll want to retain your coaches. Maintaining consistency in your staff will lead to fewer issues long-term and more success as an organization. When your coaches are delivering the same message to your customers, and once you have a track record for race day success, it becomes much easier to execute the company tagline and continue to grow the business. You will have to learn what motivates your coaches in order to best retain them. Some ideas to consider are having a fair coaching fee split with athletes. Providing your coaches with bonuses which can be either monetary or through products may have a powerful impact. Helping them get access to media outlets so they can write and express their ideas is another good benefit. More ideas would be to take care of billing for your coaches, creating camaraderie, giving them recognition in monthly newsletters and on your company website. When an athlete is successful, usually the coach should get some credit too! In the end, you want a win-win, a situation where the coaches tell you they are happy, doing what they love and making a living enjoying what they love to do. Having great systems and coaches ready to go sets up your infrastructure nicely, but in the end, you need paying athletes. Ultimately, you have to understand what you are you selling to your customers. In my experience, as coaches, we are selling the customer race day success, a dream, a relationship, an ability to check off an important life goal, and more. Every athlete that comes to you is different. You have to figure out what they want and speak to that. One of the major points I make to athletes is that they can be fast and they can be smart, they can even plan the perfect training block or season, but most times, and I mean 8 out of 10, they are missing two key ingredients. Once I get them to understand they are missing those two key ingredients, they realize they need help from a coach. You have to do a better job than your competition. You have to surround yourself with people better than yourself. Starbucks CEO Howard Shultz, an amazing entrepreneur, hires people with better skills than he has in his weak areas. You have to have results with your athletes – science certainly helps and you need to speak the language, but you need to know how to communicate with a wide range of athletes from beginners to gear savvy, technical athletes. An athlete’s ability to understand your coaching so that come race day they shine – that’s essential. For some athletes there are obvious things they need – training consistency, variability, frequency, skills, working on weaknesses, etc. – being able to speak to those demonstrates your value and highlights the benefits you’ll bring as their coach. Closing isn’t easy, but in order to be successful, you HAVE to be able to do this! At the end of a phone call or a meeting with an athlete, you have to ask for their business. It can be as simple as asking, “what do we have to do to get you on board with us”, or “what day do you think you’d like to start” – be forward and sincere – you’ll miss 100 percent of the shots you don’t take! Mike Ricci presented on this topic at the 2015 Endurance Coaching Summit. The ECS Online Summit is still available for purchase.